Carmela began a new round of discussion, how we Teaching Authors use "mentor texts" as part of our writing and revision process. She explored the definition of mentor texts as published books we study to learn how to become better writers. While mentor texts tend to be considered literature, I offer that it can be of anything that reflects “story.” After all, we are homo narratus, story animals, suggests Kendall Haven (Story Proof: The Science Behind the Startling Power of Story, 2007). We have told our stories for over 100,000 years. Not every culture has developed codified laws or written language, but every culture in the history of the world has created story in the form of myths, legends, fables, and folk tales. I’ve written before, exploring how Doctor Who – yes, that Doctor -- can explain the complex definition of historical fiction. In the blending of invention with well-known and accepted facts, a better way to understand historical fiction is to remember that: “People assume that time is a strict progression of cause and effect…but actually, it’s more like a big ball of wibbly wobbly, timey wimey stuff. A longtime Whovian and dear friend, Cynthia and I have often used Doctor Who as a means to explore literary devices. Consider the character of Doctor Who. Human beings are complex beings, and emotions are dynamic. If we remember that fiction is primarily an emotional exchange, then plot can be understood as a sequence of emotional milestones. The very essence of thirteen incarnations (regenerations) reflects the complexity of a fully-realized protagonist. The First Doctor was an eccentric curmudgeon. The Second Doctor had a strong sense of humor. The Third Doctor had a love/hate relationship with authority. The Fourth Doctor was quite taken with his own charisma and cleverness, with a love for long scarfs and jellybabies. The Fifth Doctor was a pacifist. The Sixth Doctor was petulant. The Seventh Doctor was ruthless. When the Eighth Doctor changed, there was a profound shift in the character. This was the great moment in the plot when everything changed. He became the War Doctor, a warrior that commited genocide against his own people. His was a regeneration considered so dark, he renounced the title of Doctor. The hope and curiosity of the previous incarnations were ground away by the brutality of his choice. 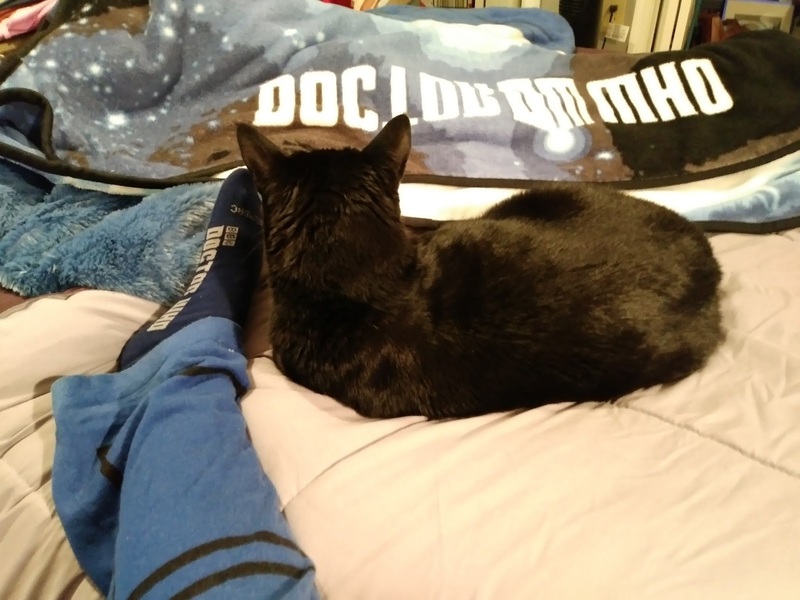 He became the brooding Ninth Doctor, the tragically lonely Tenth Doctor, the guilt-ridden Eleventh Doctor, and the self-doubting Twelfth Doctor. When seen as one character, rather than twelve (and now thirteen!) “regenerations,” the protagonist becomes a complex, dynamic character. A character, while racing through time and space, who remains anchored to his (and her) companions. They exert a force on him (and her! ), changing him even as he changes them. That’s the very essence of a plot moving forward. Important to developing a realized character is his backstory, the history that underlines the situation at the start of the book. Backstory drives the character’s motivations. It is primarily the character’s wounds that become the core of his emotive journey and drives his choices. Choices that move the plot forward. Such wounds are so deep and organic that they ultimately define how the character sees the universe. At its core, the Doctor's story is about these epic relationships. These secondary characters helped to reveal the best and worst characteristics of the Doctor. The First Doctor was a know-it-all, prickly codger, but his two hearts softened whenever his granddaughter, Susan Foreman, walked into the Tardis. When Adric died during the tenure of the Fifth Doctor, the first long-term companion to die on the Doctor’s watch, the Doctor was stunned and reflective about his mad man in a blue box ways. By the time the Ponds died (during the time of the Eleventh Doctor), he was overwhelmed by his grief and hid away in the clouds. 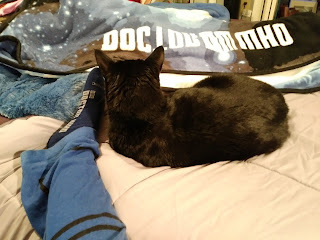 Only the mystery of the Impossible Girl was strong enough to compel him to leave the Tardis. What if we went to a museum to see the works of Vincent Van Gogh, and saw a monster in his painting? What if we went back in time to visit the artist, and met the monster lurking in the church? What if we decide one morning to turn left, instead of right? How would history change? What if we met a friend in a creepy old building with a garden filled with stone statues? What if these statues were really predatory creatures, and every time you blinked, they moved in for the kill? What if there were giant whales swimming through space? What if a broken but brilliant man, during the final years of a 1000 year war, genetically modified survivors to ensure his people's survival? What if these modifications were integrated into tank-like robotic shells, with every emotion removed except hate? What if this new species thought themselves the superior race? What, then, is the Doctor’s story about? What is the big idea that propels his story, the theme that connects all the parts of his narrative? 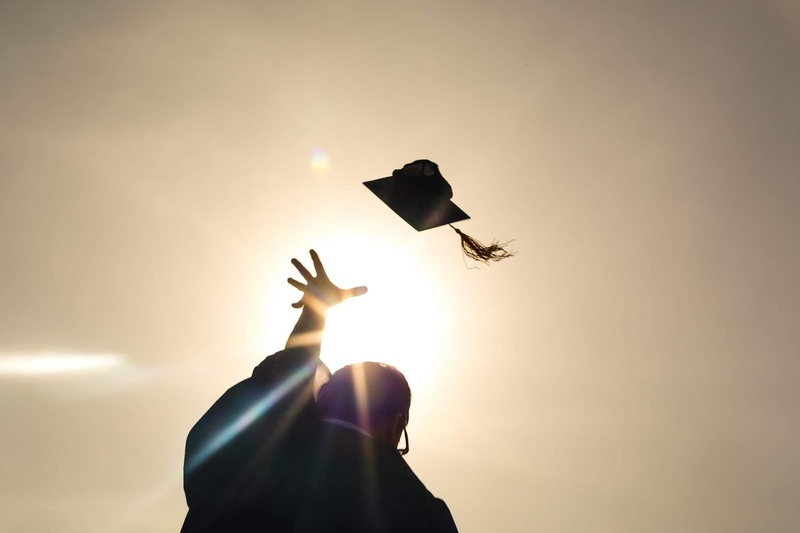 Theme is connected to the protagonist’s journey, the lessons he learned along the way. The theme allows the readers to relate to the characters and feel invested in the outcome. Supported by the sweeping themes of love and war and redemption, grief continues to be a powerful, emotional theme that prevails throughout the Doctor’s story. As the Doctor learns repeatedly, honor your dead, but keep on living. He learned this with the passing of Adric, and the passing of the Ponds, even at the passing of his wife, River Song. His best friends, and even his childhood best friend who grew up to be his favorite frenemy, the Master, eventually they all left him. Throughout the course of his long life, he became defined by his losses. In one story, the Twelfth Doctor saves a Viking girl -- at his companion's urgent request -- through a technology that makes her immortal. Her tragic saga spans through eternity, as she outlives everyone she loves, until at last she also witnesses the end of the universe. And yet, her story doesn’t end. It continues unexpectedly after the Doctor endures torture for a billion years, forcing his way back to Gallifrey, in hopes of saving his companion, Clara. Eventually he pulls Clara out of her timeline, which traps her between two breathes. In their final goodbye, she wipes the Doctor’s memory of her before flying off into her own adventures with the Viking Girl. Clara chooses to let him go to save him. Yet, before the Twelfth Doctor regenerates, he remembers Clara. The story comes full circle, a narrative device that frames the story to bring about resolution. At this point, the Doctor's inner and outer conflicts converge at the same time and place (all puns intended) for emotional impact. There remains intact certain kernels of emotional truth. An old Ibo (Africa) proverb states, “all stories are true.” And what we learn in this wibbly wobbly journey through time, as the Doctor has learned, is what it means to be human. 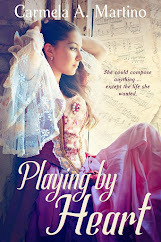 Don’t forget, Teaching Author is hosting a giveaway! You can enter to win a copy of award-winning picture book author Laurie Wallmark. newest book, Hedy Lamarr's Double Life:Hollywood Legend and Brilliant Inventor. 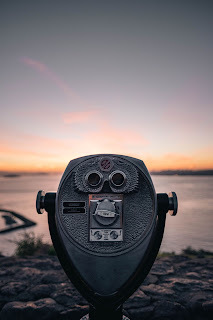 Today I'm sharing a Wednesday Writing Workout (WWW) from Laurie Wallmark as a follow-up to my guest TeachingAuthor interview with her last week. 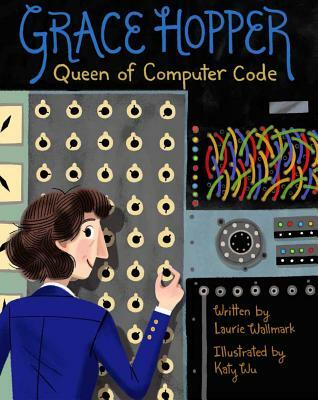 Laurie's WWW is related to her picture book Grace Hopper: Queen of Computer Code, illustrated by Katy Wu (Sterling Children's Books). "I originally wrote my Grace Hopper book in verse. The poem on the front end pages was one of these poems." Laurie told me that when her Grace Hopper story didn’t work in verse, she switched to prose. That leads to today's Wednesday Writing Workout. Which was easier to write—verse or prose. Why? Which used more words? Why do they think this was the case? Which told the story better? Which method allowed more emotional depth for the story? Did everyone have the same answers for the above questions? If you'd like to get an inside peek at the work that went into the illustrations for Grace Hopper: Queen of Computer Code, see this interview with illustrator Katy Wu. 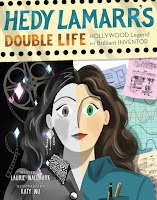 And if you haven't entered our giveaway of Laurie and Katy's newest book, Hedy Lamarr's Double Life: Hollywood Legend and Brilliant Inventor, you can do so on Friday's post. Finally, remember to always Write with Joy! 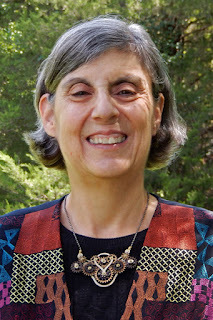 Today I'm thrilled to bring you a guest TeachingAuthor interview with award-winning picture book author Laurie Wallmark. See the end of this post for details on how you can enter to win a copy of her newest book, Hedy Lamarr's Double Life: Hollywood Legend and Brilliant Inventor, which was released from Sterling Children's Books just last week! And, in honor of Poetry Friday, I'll also be sharing a poem from Laurie's book Grace Hopper: Queen of Computer Code. 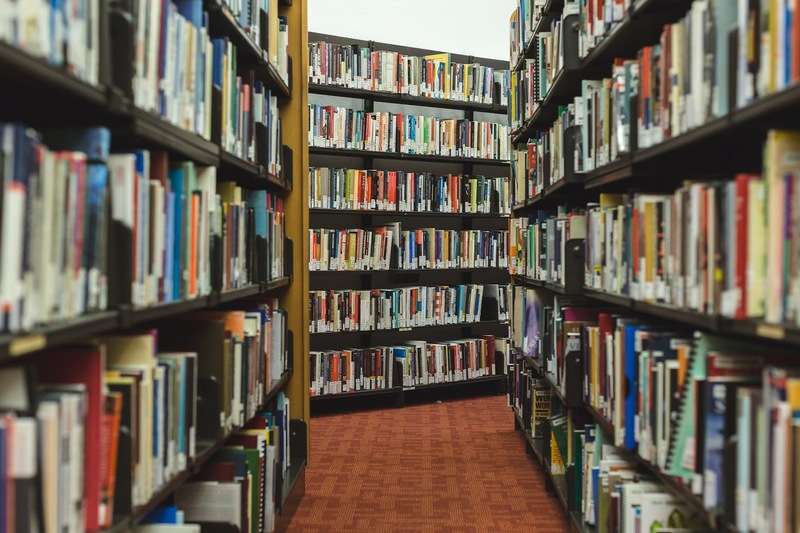 "Mentor texts are pieces of literature that you—both teacher and student—can return to and reread for many different purposes. They are texts to be studied and imitated...Mentor texts help students to take risks and be different writers tomorrow than they are today. It helps them to try out new strategies and formats." Before I get to the interview with Laurie, here's a bit about her: Laurie Wallmark, author of Hedy Lamarr’s Double Life (Sterling Children's Books), writes picture book biographies of women scientists and mathematicians. Her books Grace Hopper Queen of Computer Code (Sterling Children's Books) and Ada Byron Lovelace and the Thinking Machine (Creston Books), have together received five starred reviews and several national awards. Laurie has an MFA in Writing for Children and Young Adults from Vermont College of Fine Arts as well as degrees in biochemistry and information systems. When she's not writing, she teaches computer science at Raritan Valley Community College. She also teaches courses on writing for children. Find out more about Laurie on her website and follow her on Twitter here. "Many STEM-for-girls biographies fan excitement over women's achievements, but this title actually brings the central scientific concept within middle-grade reach." 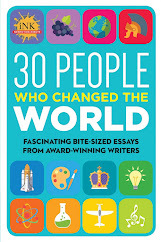 See the end of this post for details on how you can enter to win a copy of this terrific new book! Laurie, you're so busy as a TeachingAuthor, teaching computer classes and courses in writing for children while writing and researching your own books. How do you balance your writing and teaching? All writers have other responsibilities, whether they are related to work, family, or themselves. Writers need to take advantage of those interstitial opportunities in our lives. You can think about your story while: standing in line; washing in the shower; exercising, etc. You can write while: on hold on the telephone; waiting for your flight at the airport; between meetings on a business trip. You get the idea. Today we’re celebrating your latest release, the picture book biography Hedy Lamarr's Double Life: Hollywood Legend and Brilliant Inventor illustrated by Katy Wu (Sterling Books). I’ve seen some of Hedy Lamarr’s movies but never knew about her “double life.” Please tell our readers about the book and how you came to write it. Hedy Lamarr’s Double Life is a great follow-up to your two other picture book biographies: Grace Hopper: Queen of Computer Code, also illustrated by Katy Wu (Sterling Books), and Ada Byron Lovelace and the Thinking Machine illustrated by April Chu (Creston Books). What drew you to writing these biographies as picture books? Wow! I'm glad you didn't let your principal's comments keep you away from math and science, since that ultimately led to your writing these great biographies. How did you sell your first book? Several years ago, I had an editorial critique at a New Jersey SCBWI (Society of Children’s Book Writers and Illustrators) conference with agent Ginger Harris-Dontzin of the Liza Royce Agency. She loved my manuscript and shared it with her partner, Liza Fleissig. They had a particular editor, Marissa Moss of Creston Books, whom they thought would be interested. She was. Marissa bought my Ada Lovelace book, and Liza and Ginger are now my agents. Anyone who is interested in writing books for children needs to join the international organization, SCBWI. What advice do you have for other writers working on picture book biographies? Research. Research. Research. For me, research is part of the fun of writing biographies. Often you find out that something everyone knew about the person isn’t really true. The challenge in doing research is when sources differ. I have a picture book biography, Numbers in Motion: Sophie Kowalevski, Mathematician (Creston Books) about a women mathematician coming out in 2020. After that, I have another woman in STEM biography, but it hasn’t been announced yet. Even as we speak, I’m writing another picture book biography. Your productivity is inspiring, Laurie! In studying your books as mentor texts, I've noticed that they're recommended for grades Kindergarten-3 even though they’re at a fourth-grade reading level. Do you write your biographies with a particular age student in mind? In what grades do you see your books being used? The publisher always says K-5. I actually think grades 3-5 is the sweet spot for them, but I just write. The Hedy Lamarr book skews higher because it has more science in it. Readers, if you're a classroom teacher, you'll want to check out the Curriculum Guides for Laurie's books on this page of her website, where you'll also find links to STEM activities. Laurie, thanks so much for taking time from your busy schedule for this interview. Thanks, also, for giving our readers a chance to win a copy of your new book. 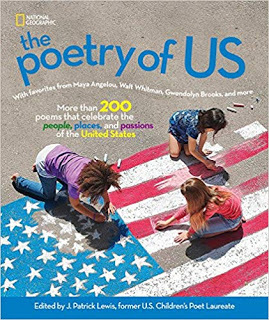 Readers, below I've listed some resources for finding and using mentor texts, followed by the book giveaway instructions. 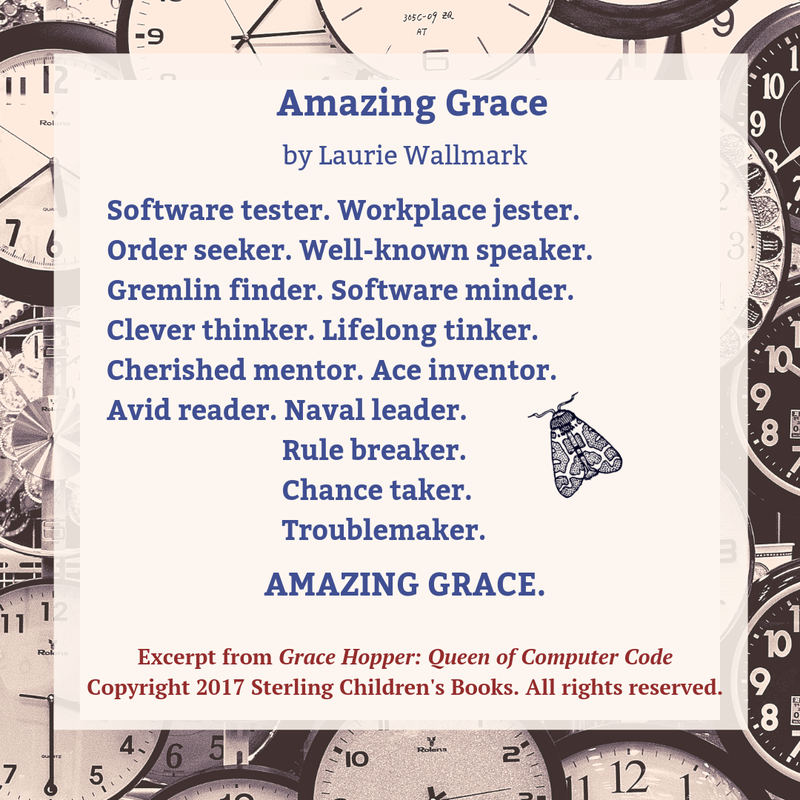 But first, I want to share a poem from Laurie's book Grace Hopper: Queen of Computer Code, as I promised at the beginning of this post. This poem appears on the front end pages, before the book's title page. On Wednesday, February 20, Laurie will be back to share a writing exercise related to the poem. I chose the clock background above because in Grace Hopper: Queen of Computer Code, young Grace tinkered with clocks until she "understood what made them tick." Explaining how the moth is tied to the book would be a "spoiler" for those who haven't read it yet, so you'll have to get a copy to see for yourself. 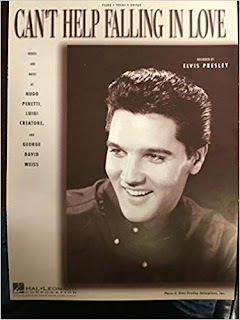 Horn Book article: What Makes a Good Picture Book Biography? 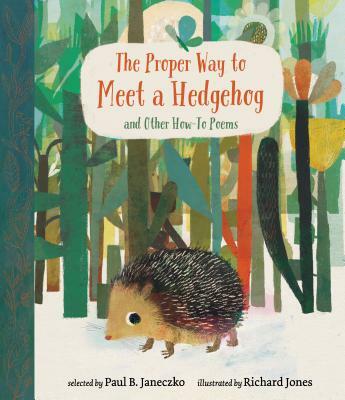 Reading for Research Month (ReFoReMo) Challenge, which was founded in 2015 to help picture book writers reform writing by reading and researching mentor texts in the month of March. To enter our drawing for a chance to win Hedy Lamarr's Double Life: Hollywood Legend and Brilliant Inventor, use the Rafflecopter widget below. You may enter via 1, 2, or all 3 options. If you choose option 2, you MUST leave a comment on TODAY'S blog post or on our TeachingAuthors Facebook page. If you haven't already "liked" our Facebook page, please do so today! In your comment, we'd love you would share either the title of a picture book biography you'd like to recommend or the name of a person who would make a good subject for a picture book biography. Note: if you submit your comments via email or Facebook, YOU MUST STILL ENTER THE DRAWING VIA THE WIDGET BELOW. The giveaway ends March 1 and is open to U.S. residents only. Don't forget to visit today's Poetry Friday hosted by Jone at Check It Out. The theme of how I start a new writing project comes at the right moment for me because I’m asking myself the same question: How do I start a new writing project? First, I’ve got to let go. My new book has finally been released and I’ve got to move on to another project. But it isn’t easy to do. 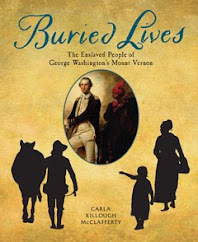 I’ve lived with the enslaved people I wrote about in Buried Lives: The Enslaved People of George Washington’s Mount Vernon for the past five and a half years. I’ve researched, I've thought deeply, and worked hard to write about them in a meaningful way. But now a new phase has begun for my book as it faces the world on its own. It reminds me of the feeling I had when I took my kids to college and left them there. I knew they were ready to go. I wanted them to go. It was time for them to go. It was hard to let them go-but I did. Since the first of the year, I’ve been doing as much marketing as possible for Buried Lives-but soon I’ll be at the end of my long list of things to do. Once those tasks are done, I’ll clean my office. I'll find a place (though I don't know where) for the piles of papers and books that at this moment look like a tornado has touched down. I need to see a clean desk before I can think seriously about what to do next. Because I write long nonfiction, each project is a time commitment of years. I must be willing to invest that kind of energy—mental, physical, and emotional—to the topic. For me, I must believe the topic is worth what it will cost me, and that this is the book that I’m supposed to write. I sometimes think the books choose me, rather than the other way around. Yes, I know that sounds melodramatic. But the truth is that it takes so long to write my deeply researched books, that there won’t be that many books by the end of my career. I will never be one of those authors whose bios say they have written 200 books. Therefore the topics I choose to write about are crucial to me. So many books, representing so much work! Image from Burst. So now that I’m letting go of Buried Lives, what is next for me? I do have a topic that has been in my mind for a couple of years that might become my next book. But at this point, the possible topic is only a starting place. From here, I’ll need to do market research to see what else has been written on the topic. The next step will be to write a book proposal. Sounds easy, right? It isn’t. I do a lot of research in order to understand the topic so I can figure out how a book could work. I need a fully realized concept for the entire book before beginning to write a book proposal. After lots of research, and after I know what the book is really about, I craft the most powerful book proposal I can. I keep in mind that the proposal is a sales tool. My goal is for the editor to think—I love this idea! I want this book on our list! The next step is signing a contract. Once I sign my John Hancock on a contract, I put everything I’ve got into writing that book. The process is slow and challenging. The process is also exhilarating and fulfilling. What will be the focus of my next book? Image from Burst.